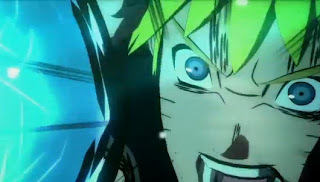 Firestarter's Blog: Naruto: Ultimate Ninja Storm 3 All Star Trailer Out! Naruto: Ultimate Ninja Storm 3 All Star Trailer Out! The European arm of Namco Bandai Games has recently streamed the All Star video trailer of the upcoming game, Naruto Shippūden: Ultimate Ninja Storm 3. The video features Awakening Systems, Battle Styles, Support Combinations, Jutsu Finishes to name a few. Namco Bandai Games will include 5 more downloadable costumes for those who have pre-ordered the game, Naruto Shippūden: Ultimate Ninja Storm 3 in Europe. On the launch date, all copies will include Naruto's Goku outfit code as a one day bonus only. Japan will have a separate set of codes to download outfits for Samurai Naruto, ANBU Kakashi, Swimsuit Sakura, Hinata’s and Sasuke’s movie costume in Road to Ninja: Naruto the Movie. Naruto Shippuden: Ultimate Ninja Storm 3 will be released for the PlayStation 3 and Xbox 360 in U.S. and Europe on March 5th and 8th respectively. Japan however, will get theirs a month after - April 18th.